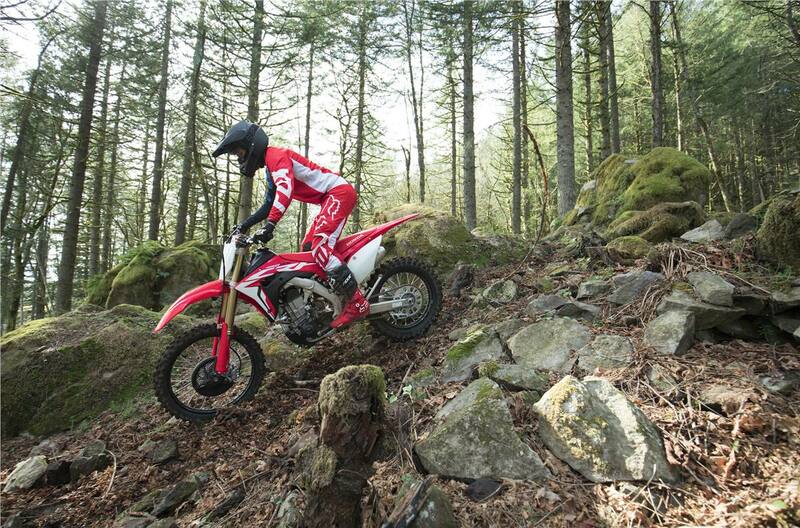 260mm Front Brake: The CRF450RX’s large front-brake disc measures a whopping 260mm. You get great brake feel and a pattern that cuts down on weight. Front and rear brake-disc guards are part of the package too. 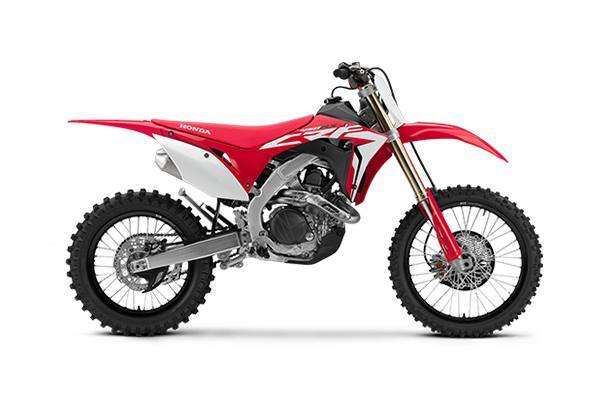 High-Capacity Resin Fuel Tank: For longer enduro loops, the CRF450RX features a bigger fuel tank that holds a full 2.25 gallons. 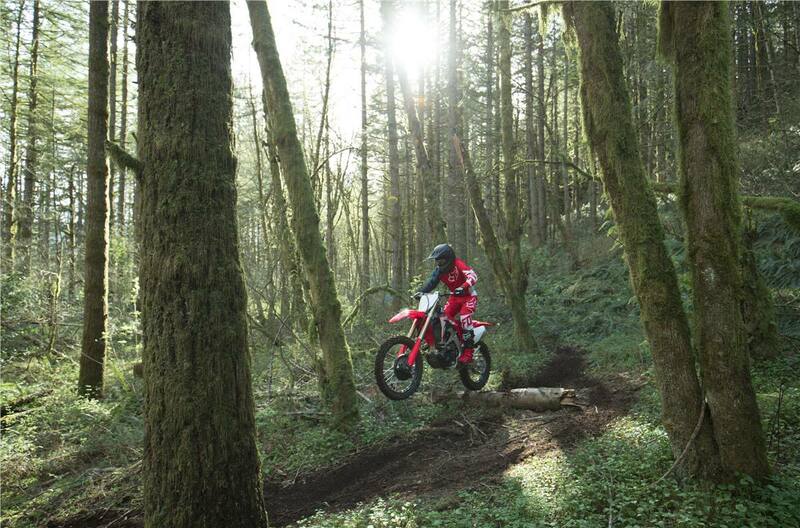 New Double-Spray Injector Settings: The CRF450RX’s fuel-injection system sprays twice per intake cycle. That helps increase fuel atomization without adding the weight or complexity of a second injector. The better fuel atomization means more power in the midrange and on overrev—you’ll feel it the first time you race. 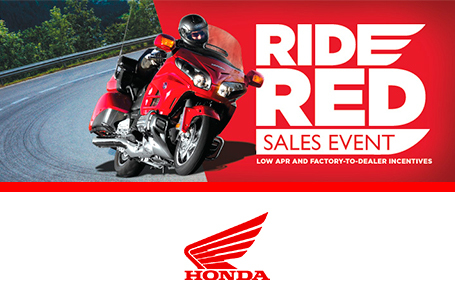 New Longer Head Pipes: Lengthening the CRF450RX’s headpipes help give you better throttle response and top-end pull. “In Mold” Graphics: With the all the time you’ll be spending in victory circle, you need to look your best. The 2019 CRF450RX has you covered. Our “in mold” graphics look great, and stay looking good longer. 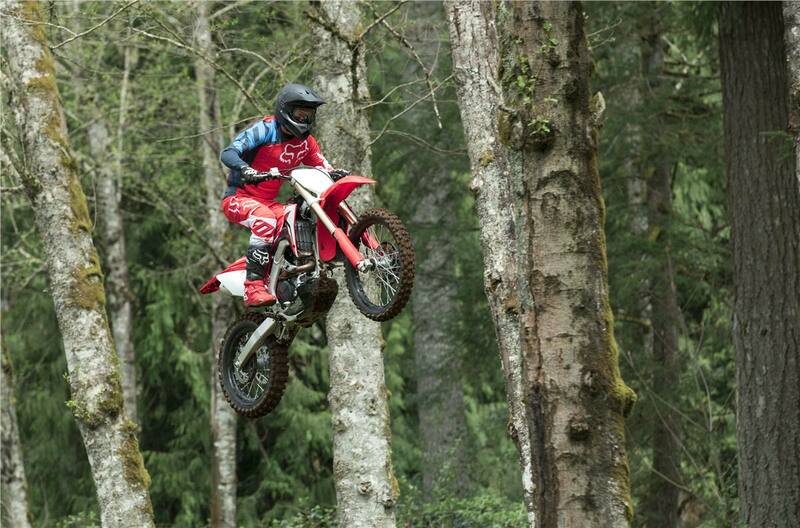 New Programmable ECU: Want to fine-tune your CRF450RX’s power delivery to a specific riding style or course? 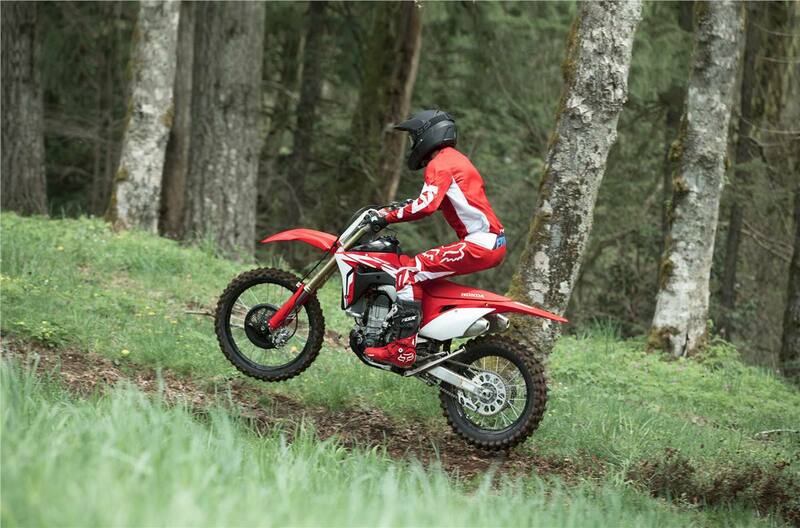 It’s easier than ever with the 2019 CRF450RX’s programmable ECU. Showa Spring Fork: The 49mm Showa fork is specially tuned just for the CRF450RX, and features a conventional spring design that helps increase the CRF450RX’s front-suspension precision, handling and feel. 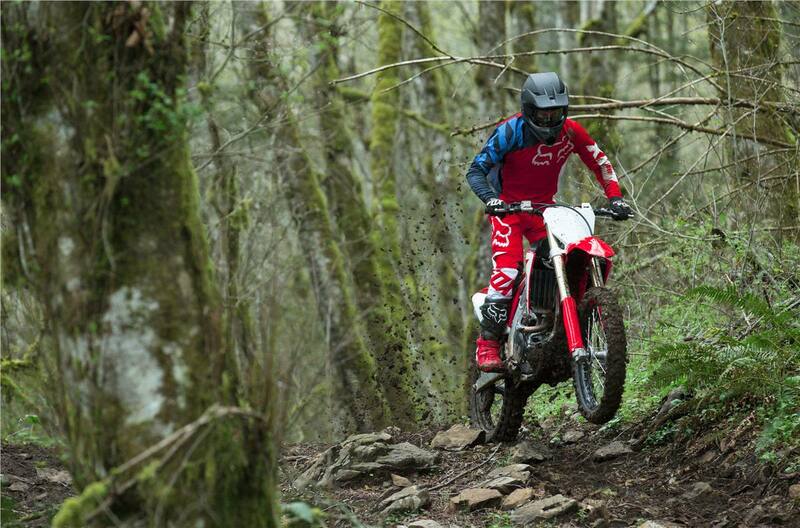 New Swingarm: We’ve changed the way we build the CRF450RX’s swingarm this year, fine-tuning the flex to work with the new chassis and give you better rear traction and cornering precision. 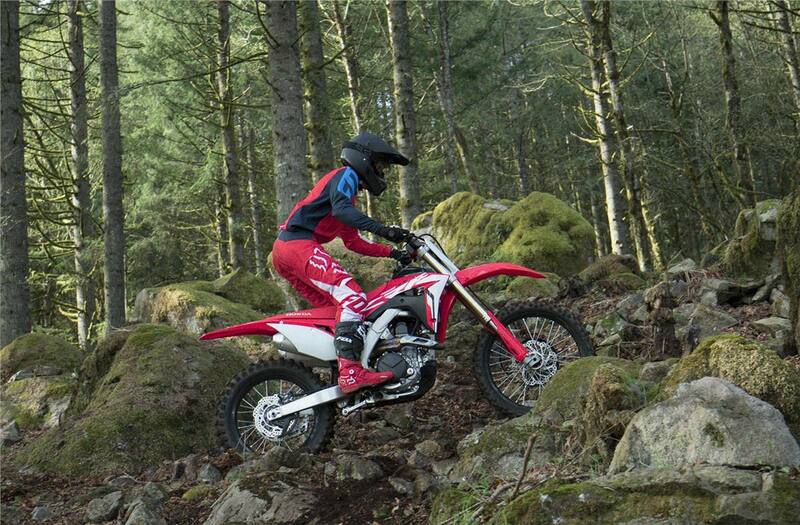 New Frame Members: We’ve stiffened up the CRF450RX’s chassis to work better with the new swingarm. At the same time, we took some rigidity out of the rear subframe, to help maintain the bike’s overall balance and feel. 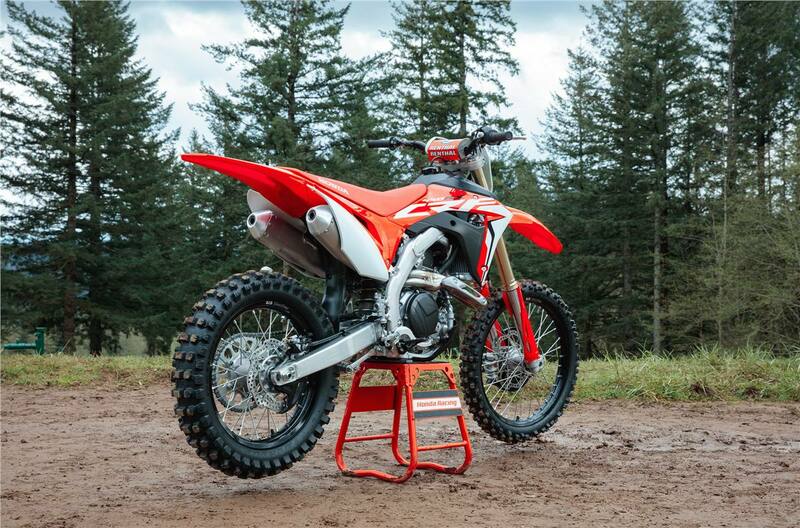 Flat Seat/Tank Junction: The CRF450RX features a flat seat/tank junction, including a titanium fuel tank. The superior ergonomics make it easier to move forward and back on the bike, increasing your control. Rake (Caster Angle): 27 deg. 25 in.